24 hrs emergency London corgi heating, engineers & plumbers. We've been recommended by "Time out" family- husband and wife run business and been awarded in 2008 and 2010. 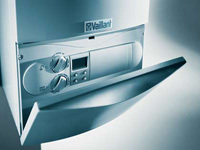 We do Vaillant, Worcester, Potterton, Keston, Baxi, Saunier Duval installation all other brands; we give customers the best services.